The UEC all-sky airglow camera. 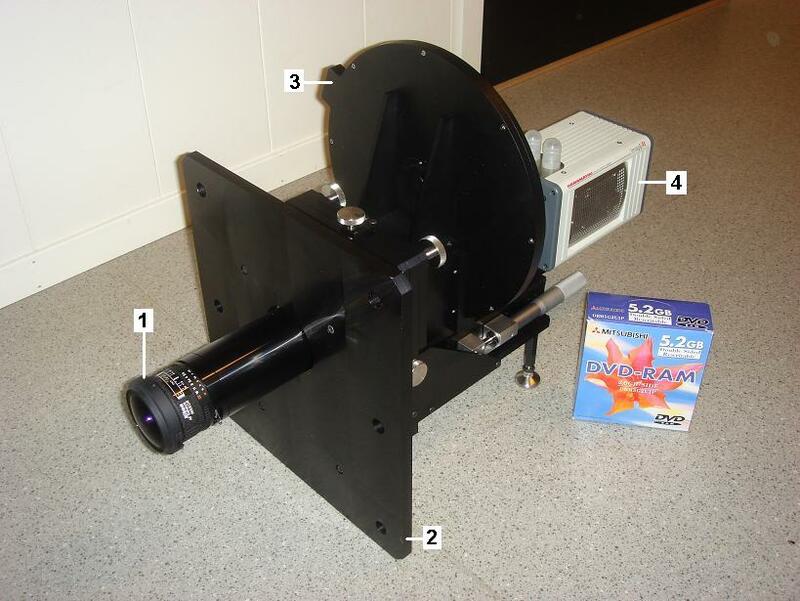 (1) Nikon all-sky front optics, (2) mount plate, (3) filter wheel, and (4) EMCCD detector. The University of Electro-Communications in Japan (UEC) is now installing a state of the art all-sky airglow imager at KHO. The instrument is designed to all-sky image thermospheric airglow emissions from excited atomic oxygen at 630.0 nm and 557.7 nm. The main objective is to study how the polar cap patch (detected at 630.0 nm) changes in shape, and how its change is related to the electron precipitation in the cusp/low-latitude boundary layer, which is seen at either wavelength. This will promote a better understanding of the ionospheric instability and its control of the plasma structuring in the polar cap. Spatial coverage: All sky view - FOV 180 deg. Time resolution: 1 - 2s! GOTO University of Electro-Communications in Japan.